She is a lovely person who loves family and cares for them the most. She loves music, traveling and different food cuisines. She is born in Rajkot and and bought up in Veraval. Completed her bachelors in Medicine from Ahmedabad and post graduation in Dermatology from Nashik. 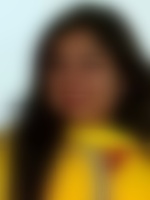 She is then working in Ahmedabad since five years as a consultant with three different hospitals. She has recently Registered with GMC -UK and plans to start working there as an associate dermatologist in Lancaster, UK, soon starting in 2018. We come from an affluent, joint family with liberal values. Both her father and mother are into business. She has one brother, who is married.